That Parmesan cheese you've been sprinkling on the top of your pasta may not be as 100 percent "real" as the packaging says it is. According to Bloomberg News, results from tests that have been completed on a number of Parmesan cheese products suggest that some of the grated cheeses you can purchase at grocery stores contain an ingredient called cellulose. A website called Food Babe reported that this ingredient is used to avoid clumping and is made from wood pulp to act as a filler. Apparently, it is much cheaper for manufacturers to mix in higher levels of wood pulp than to fill the cheese containers with 100 percent organic Parmesan cheese. Although the ingredient cellulose can be safely added to foods, it is only safe if it makes up two to four percent of the substance it is added to. Unfortunately, some Parmesan cheeses found on store shelves exceed this level, including Walmart's Great Value brand Parmesan cheese, which contains a whopping 7.8 percent cellulose. Kraft, another major cheese brand, contained amounts of cellulose that were just under four percent. The Whole foods brand of Parmesan cheese has the lowest cellulose levels at .03 percent, but the manufacturer does not list it as an ingredient on the packaging. Neil Schuman, who is one of the largest retailers for hard Italian cheeses in the United States, told Bloomberg News that he believes that about 20 percent of foods produced in the United States are mislabeled. This amount of food adds up to about $375 million in sales. Schuman said that grated cheeses were one of the biggest offenders when it came to misleading consumers. 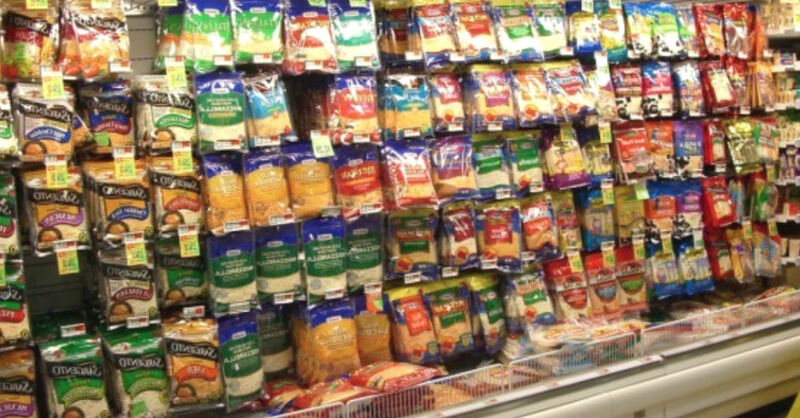 It is estimated that less than 40 percent of these products are actually cheese. Schuman says that this is wrong because consumers are not aware that they are not actually getting what they have paid for. All of the companies that manufacture products found to have high amounts of cellulose have said they are investigating these claims. Jewel-Osco, one of the companies whose products had high levels of cellulose, said that they pride themselves on the quality of their products and will work to find a solution to the problem.